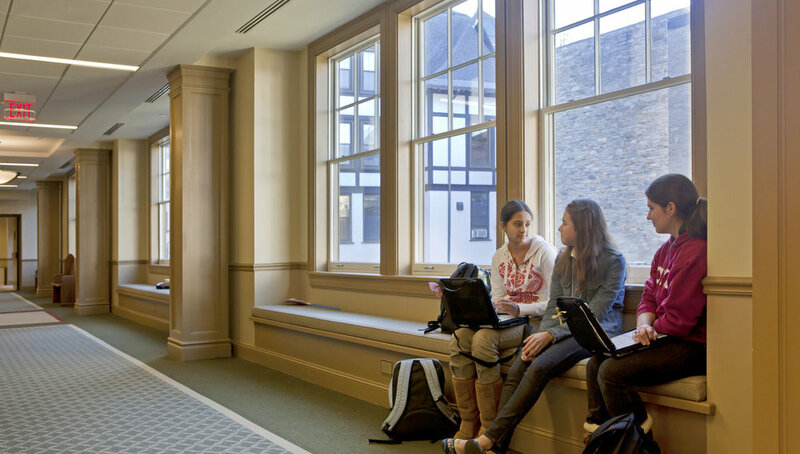 Kent Place School’s 45,000 SF Upper School Academic Center represents the initial phase of a multi‐phase initiative to enhance the independent school’s academic core facilities, based upon NK’s campus master plan. 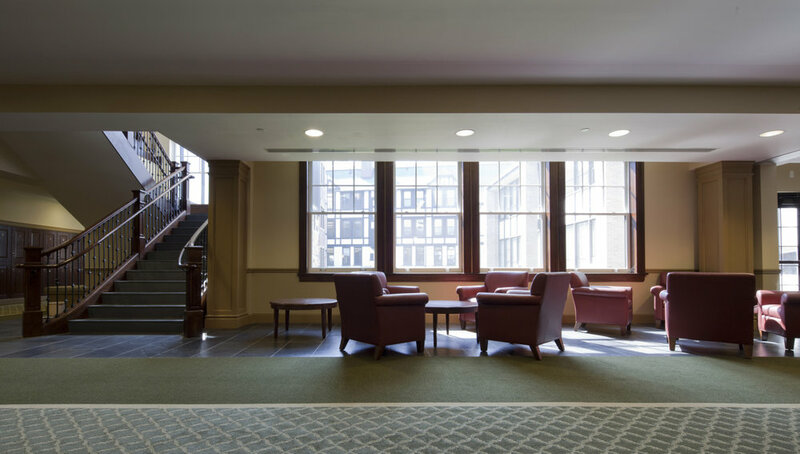 The light‐filled building offers generous interior views, both of the surrounding neighborhood and of a central garden courtyard. 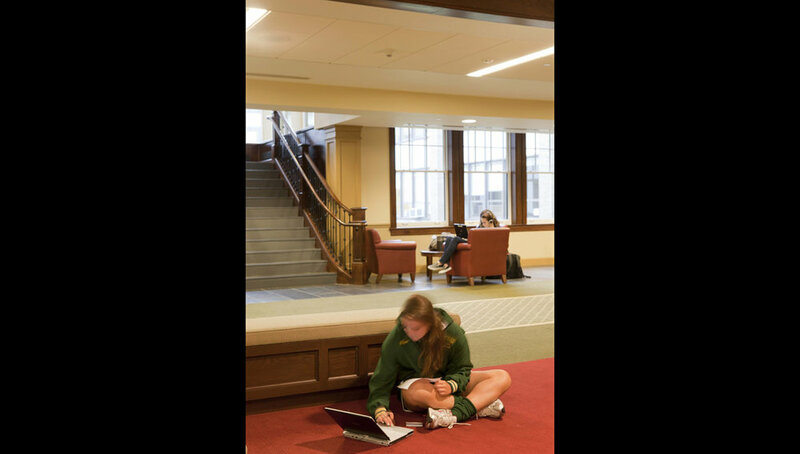 Seating alcoves arranged along the courtyard corridors provide inviting and sunny nooks for reading, socializing or quiet contemplation. 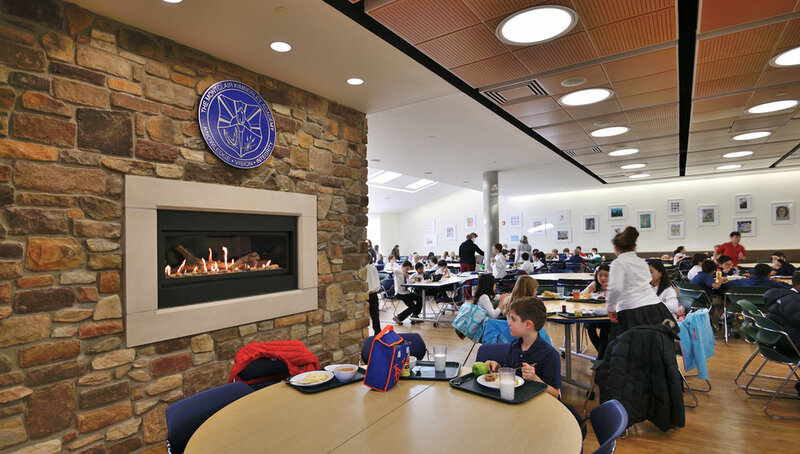 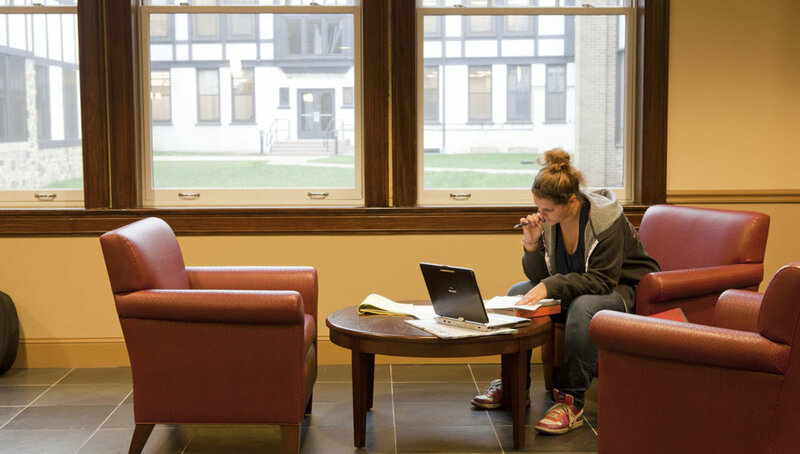 The rich interior finishes reinforce the School’s traditional aesthetic. 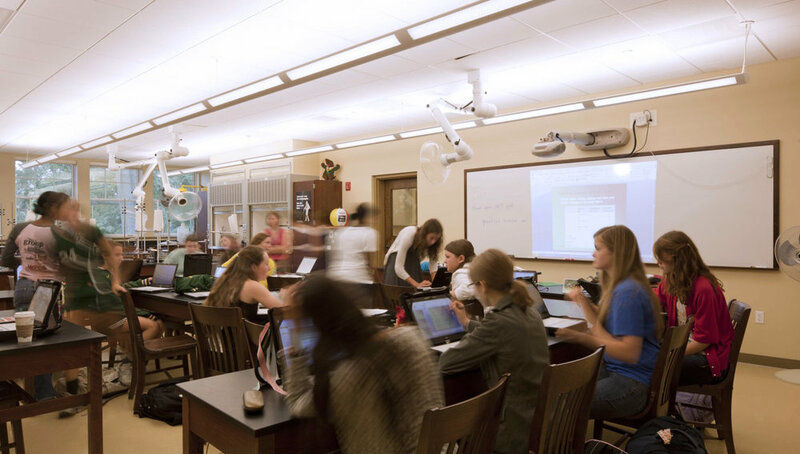 The building contains academic classrooms, choral and instrumental music rooms, collaborative group spaces and dedicated grade‐level lounges. 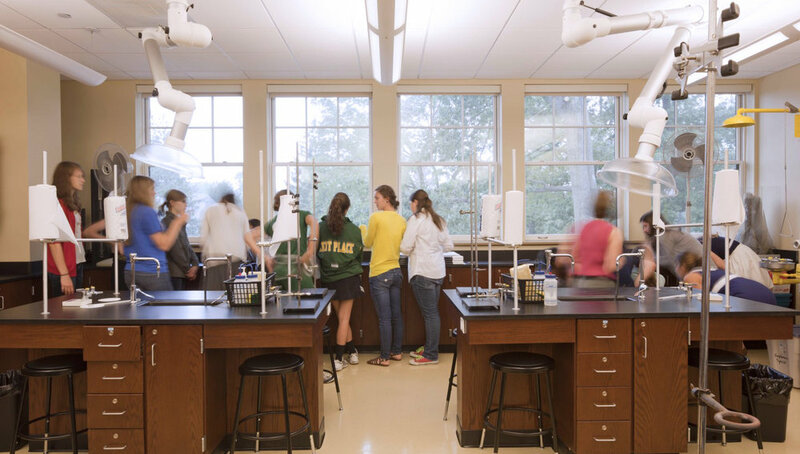 New science labs provide spaces for both instructional activities and long‐term independent research projects. 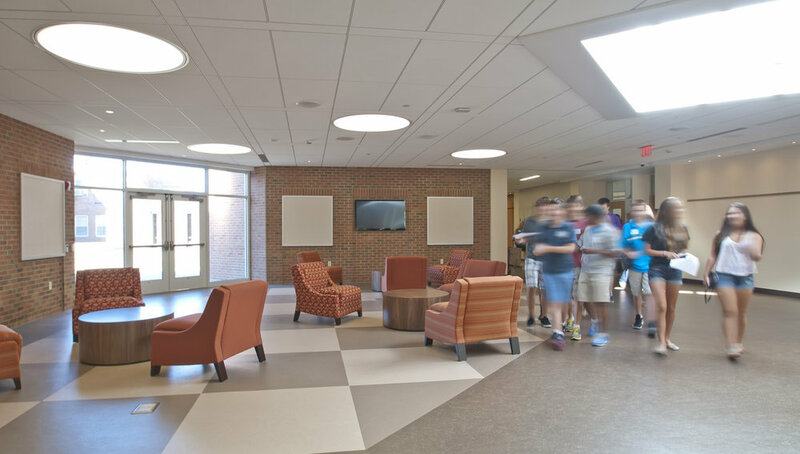 At the heart of the building, a new commons, capable of accommodating the entire Upper School population, serves as a central organizing element and a focus of daily student activities. 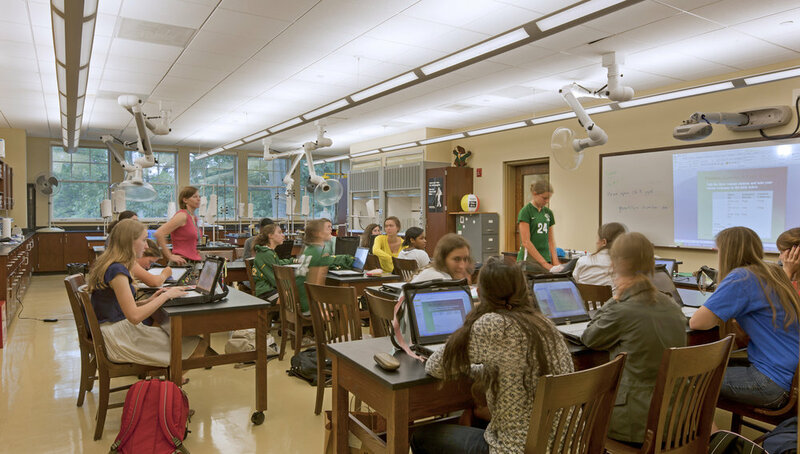 Numerous sustainable strategies are incorporated, including low‐flow plumbing fixtures, heat‐recovery systems, FSC‐certified and on‐site harvested woods, as well as computer touch‐screens that provide real‐ time information about building performance, and which support an integrated sustainable education program. 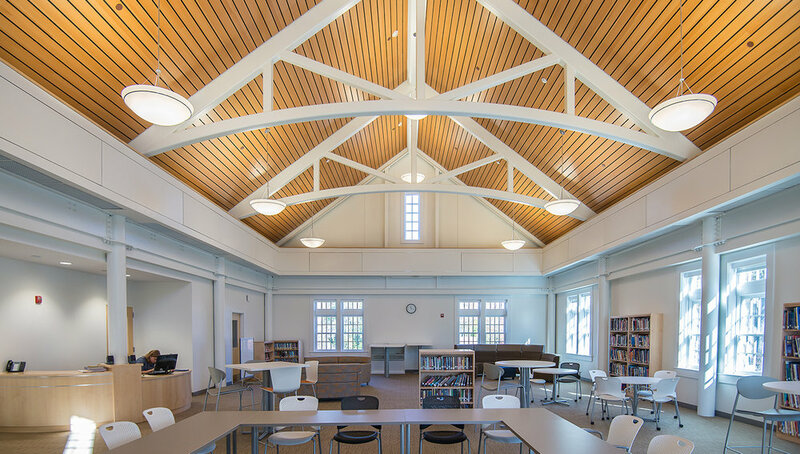 This project has received USGBC Gold‐level certification, and was recognized as the “best suburban green project” by the NJ Chapter of the United State Green Building Council (USGBC) in 2014.